The last time King Midas Sound emerged, they raged and relented. ‘Aroo’ was a sole 12” which offered two utterly contrastive sides. The titular lead was a shoegaze tirade which suggested that the more resolutely fastened fixtures of before – led by an engulfing tread of seismic dub – were now up for alteration. It was as if a sense of stability had been uprooted; those low-end outfitting’s loosened and freed, swirling around in equal chaos with momentous fragments of noise. Despite the interesting feel of diversion this presented, it didn’t feel like a unanimously successful departure. It’s B-side (‘Funny Love’) was an altogether different proposition. Rather than a momentary deviation a newly minted, ample sense of space represented a complete flight into another world, where the oneiric lovers rock of ‘Waiting For You’ went truly adrift. It’s horizon-less expanse made Roger Robinson’s half-harmonic cradle-song tones and Kiki Hitomi’s softly bereft response-verse all the more devastating, mirroring as they did a state of doubt and despondency in love. For the KMS project it almost seemed a bittersweet final statement, spelling the end, especially in light of the other projects Kevin Martin (as The Bug), Roger Robinson (as a solo entity) and Kiki Hitomi (as a visual artist providing artwork for the Jahtari label amongst others) have concentrated on between ‘Aroo’ and the unveiling of this first series-based collaborative project with Christian Fennesz. It’s not a collaboration that could be precisely and easily predicted. Whilst KMS have always displayed an exploratory outlook, Fennesz operates in an altogether more nebulous, experimental sphere. Yet what’s key here isn’t based on formative releases or scenes but something much more intuitive. Kevin Martin has always been ably articulate about the project, and in a recent FACT interview he detailed the foundational vision of KMS as being a ‘parallel universe of zoned loneliness’ intent on an ‘analysis of melancholy’, inferring that the project has always been more about a state of mind and being than reliance on a particular framework of sound. Although previous work has certainly been shot through with this kind of heavy, emotive import, melancholy in this instance is less moored to the shadows of a dancehall, and speaks of a much greater evocative range. Martin alluded in the same interview that the fundamental motive for starting the ‘Editions’ series was a desire to break free from the delimiting scenes and expectations inhibiting the full potential of the project (in other words; dubstep and being seen as a live-club-band-for-hire) Whilst they’re not concerns that could seriously plague KMS – they’ve always seemed an outfit who have stood alone – it seems ‘Editions’ is driven by a desire to push further out, to pre-empt any stagnation. And that’s something that’s resoundingly achieved. This is a fearless and titanic record that veers from light to dark and back again, compounding crystalline ambient, phantasmal dub, hailstorm noise and full-hearted confessional lyricism in a lush, syrupy submergence. ‘Mysteries’ is blissfully drowned in oceanic sifts and hallucinatory calm whilst ‘On My Mind' injects trip-hops opiated offness with shorn, vandalized transmissions, and within all this Hitomi sounds like a youthful Beth Gibbons versioning her own Bond theme. The latter, as well as the discrete bell-like loops of ‘Waves’, are the more potent instances indicating the presence of Fennesz, yet the cohesiveness with which the more open-ended elements of his sound are brought together with the more driven immediacy of KMS makes this a collaboration where the delineations of their respective idents remain ambiguous. Ambiguity is also extended to the mood of many of these tracks. ‘Waves’ for one has an undimming mesmerism to it. Robinson sounds almost locked in recitation, as if conducting a lone séance. ‘Loving or Leaving’ continues to lurk somewhat, smoke-drenched and weightless, sketchy signals coughed out but gradually coalescing, until a hulking, anthemic acid-fried slowdance dub announces itself. 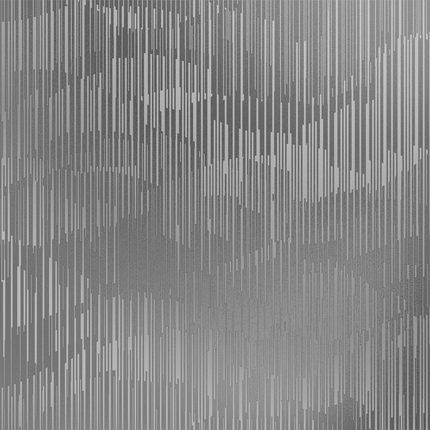 Robinson’s uncertain dismay, the indeterminate, ruptured sibilance Fennesz provides and the overarching stir of its lead line make it a glaring standout. If there’s any justice, it’ll be rinsed. From there the buried melodica, brutish war dub but peculiarly soothing atmospherics of ‘Melt’ allow Robinson’s lyrical prowess to shine. There’s a clipped, offhand, colloquial exactitude to his descriptions, from vivid corporeal intimacy (‘how she bite my lips when we kiss/how she roll her tongue along my gums’) to authentic observation in the aftermath of a breakup (‘start again/go to shows with friends/bass, beers and weed fog/eat sushi dinner with a stranger fighting for conversation’) that adds another dimension to the serenely shrouded, tactile electronics which subtly dominate. Then everything begins to slow and blur on ‘Lighthouse’ in a still-lake ambience, with Robinson extending every syllable in a half-conscious slack. In comparison with the episodes which precede it, it may at first appear pedestrian and anti-climactic but within the overall picture of the album, it begins to resemble another graceful step in a long procession of them. Meanwhile ‘Above Water’ feels like a fateful moment; a protracted, sombre hypnosis led by spectral echoes and haunting woodblock percussion that repeats and sustains as if an uncanny wind is inadvertently playing each note. In the final throes, Hitomi offers her finest contribution to the set in the form of ‘We Walk Together’, turning professions of devotion into menacing obsession but hinting at vulnerability with faltering tentativeness. It’s that same sense of devotion and monogamous, deeply-felt desire which is addressed on the glacial radiance of ‘Our Love’, a conclusion which remains consistent with the record’s fundamental theme of – as Martin termed in a recent Crack interview – ‘unconditional love’. Edition 1 revolves around this notion, but realises it in a way which is mature and realistic. It acknowledges the dark places this kind of unrequited faith can lead to; a confrontation apparently brought on by the difficult personal circumstances Martin and Robinson have faced in recent years. In the process of contending with such heavy subject matter , they’ve made their most audacious record yet and probably their best. For all its daring, it’s still a sumptuous listen, one which not only feels like a private descent for the ears but one for the soul too.